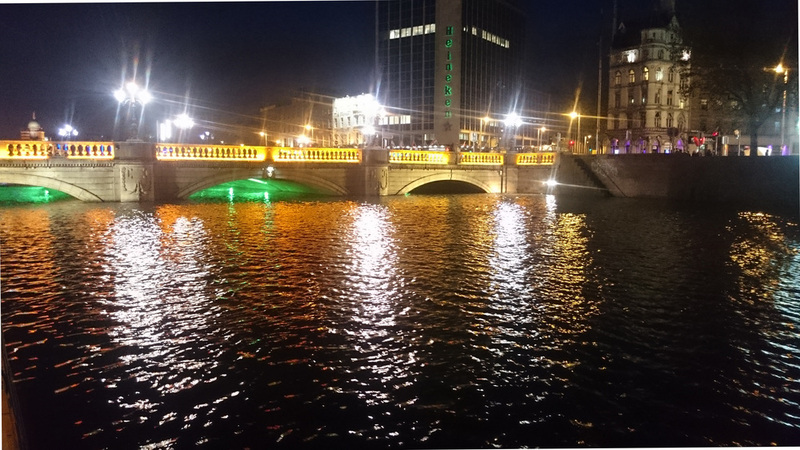 Even in darkness, a choir of lights shimmer & skip through Dublin, illuminating everything from the city’s leather-worn granite paving slabs to its vertical geometries of redbrick & portland stone in tones of linen, interspersed with lime-gold gnarled old trees. ‘Dublin City at Night' is one of 10 unique stories, distilled into a woven silk bow-tie by Brendan Joseph, made up ready to wear with an adjustable neck band you can simply unhook and re-fasten. When you're ready to discover your bow-tie's other looks, you can untie it at the front and re-tie it in three unique ways - classic, quirky and striped.